Today, the market seems to be flooded with antacids and digestive aids. The real question is why would people need so many dietary aids because most of us today try to eat healthy and consume superfoods? Ayurveda states that most of the conditions are most likely due to poor food combining. Incompatible food combinations disrupt the process of digestion and cause our body’s cells to become confused with our input. So to avoid the runs, gas or acidity the following day here are some food combining guidelines to follow. Health is not always wealth (at least when it comes to food combinations). Health foods are good for you, sure. But Ayurveda suggests that not all foods (even health foods) when combined can be good for you. In fact they can cause a dramatic imbalance in your dosha. 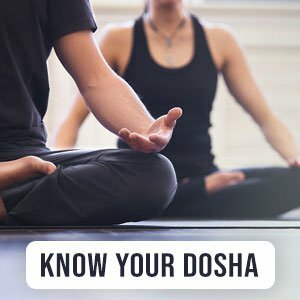 Ayurveda also believes in the uniqueness of an individual’s constitution and how that may react to the foods you consume. So you may be used to making smoothies with milk and yogurt and it may taste delicious, but it causes ama (or toxins) to build up. Another common thing is to add honey to your pipin’ hot morning cuppa. Again, honey when heated beyond 104°F/ 40°C causes an unhealthy chemical reaction. If you’ve done this for a while, your body may have developed a sort of resilience to it, but you want to avoid them regardless. Learn some more at the knowledge center. If you are looking for supplementation that can ease indigestion, try triphala, and if you suffer from constipation then you can also try isabgol husk. These will help with healthy digestion and ease bowel movements respectively. The most important thing to take away from here is simple, Ayurveda doesn’t have a cookie cutter approach in telling you what foods work together and what don’t above are general guidelines, and a lot is how your body reacts depends upon your constitution. In the long run, poor combining affects your digestive fire. Try an elimination diet that can work wonders for you.